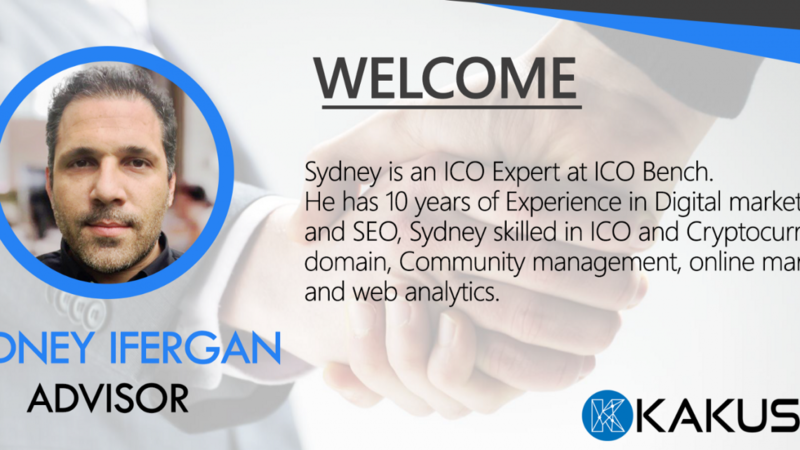 Innovators get a big advantage as the Cryptocurrency veteran Sydney Ifergan joins the team of Kakushin Platform. The platform has recently introduced the decentralized method of the blockchain that serves as a privilege for innovators to get more funds. It would be beneficial in the making process of their research projects. The Kakushin Platform token also recommended to the digital currency experts together with other investors in different parts of the world. The platform gives an easy approach for the investors as well as the innovators in sourcing out the funds required for their research. In doing so, the creation or production of the products would be fast and easy. It also gives them a chance to showcase their products to the open market. The idea of creating a product and selling it to the public provides the investors the chance of creating more products for a wide range of customers. The concept provides an idea not only selling each product to the market but also providing more opportunities to innovators. Potential investors could also take part in the development of products. In turn, future job seekers have the chance to live out their goals and fulfill their dreams through digital currency. The problem recognizes the problem faced by many innovators in the finding the funds for their products. In determining the problem, the sourcing of the funds turns out to be an easy task. It gives the fast development of the products. The birth of more ideas is made to a concrete plan as the digital currency invades the platform of the business of other countries. Resolving the problem leads to more benefits for the innovators. A few of the benefits are allowing the innovators a chance in showcasing their products as well as seeking the assistance in developing it. The innovation backers have the opportunity to receive the value equity that is right for them. Lastly, it gives both the innovators and the advisors the chance of adding value to their work. Advisors and innovators working together tend to create the best ideas for creating and launching a product. Ideas shared in collaboration to a certain goal leads to the assurance of bright product release. The open market is willing to embrace the innovative products because these made in a fast and easy way. Also, the launch of the platform could are in different currencies. It gives an assurance of an easy way of paying product purchase and settling related payments. Innovators would have their hands full on the fund required in the product research. Meanwhile, the anticipation of the public to purchase the product lands on a simple approach due to the emergence of the digital currency. Hence, more ideas are born, and innovative new products in the future. Kakushin Platform token together with the new advisor adds to the success and emergence of bitcoin in the world and the future. It offers people a bright look at innovation.